The beach wraps around the Wirral peninsula like a sandy collar stretching some twenty-five miles in length, and the display of Blue Flags reveals its rank as one of Europe's cleanest beaches. A person can follow the boardwalk over the reed beds and marshes, where natterjack toads breed and migrating birds gather. Or they might prefer the marina walk, with its sailboarders and yachts, which runs parallel to West Kirby promenade. A third choice, tides permitting, would be the hike over the exposed Dee Estuary sands to Little Eye, Middle Eye and Hilbre Islands. 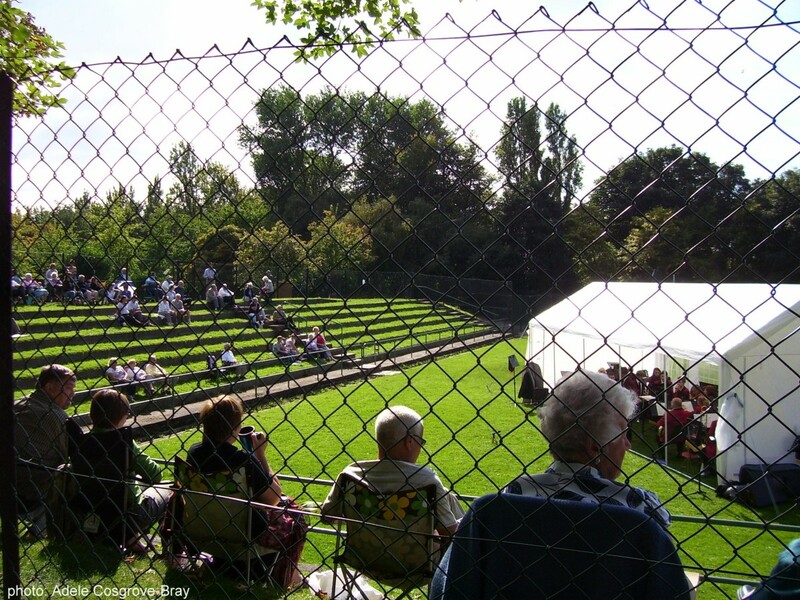 The late summer sunshine can bring out the crowds - relatively speaking. This photo of the busiest stretch of West Kirby beach shows plenty of space despite the influx of sunbathers and kite flyers. You can't miss the beach. Just walk out of the small train station and follow the increasing levels of sand down Dee Lane and there it is, a wide expanse of dark gold stretching towards the three little islands, the Irish Sea and Wales. Opt for a mid-week of out-of-season visit, however, and you'll be likely to have the place virtually to yourself. However, as can be seen in these photos, which where all taken on Sunday, 13th September, 2009, this traditional Georgian seaside village can offer a few surprises. Map showing West Kirby, Wirral. West Kirby beach, with the Welsh hills and Little Eye on the horizon. 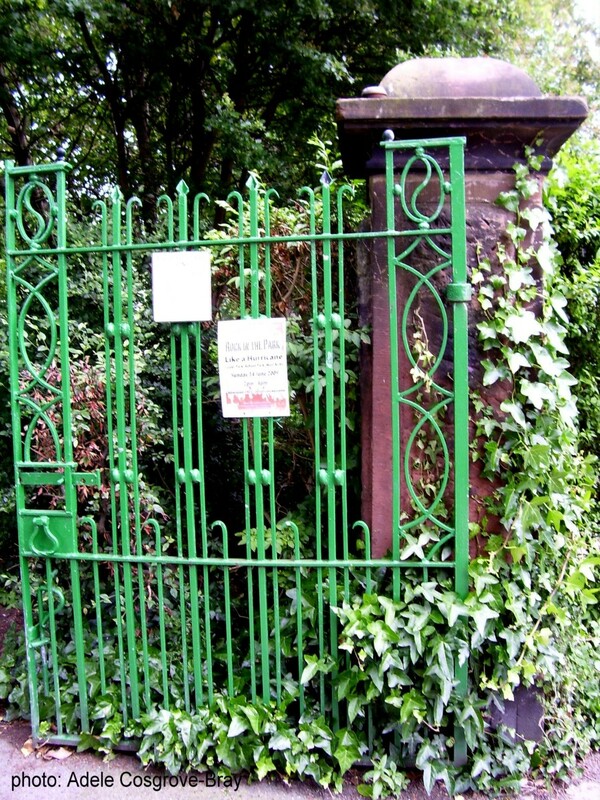 Once upon a time, a fair few centuries ago, Wirral was considered Welsh territory. 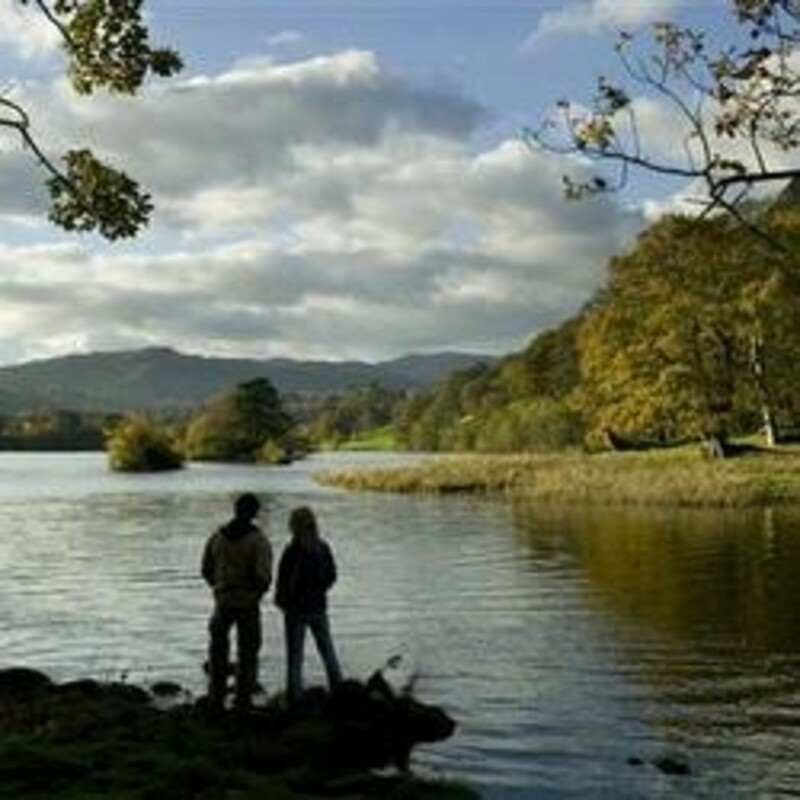 Welsh and Irish Celts lived here alongside Viking settlers and a few Anglo-Saxons. Surviving artifacts show an artistic fusion of these four cultures, a phenomena only seen elsewhere in Northumberland. 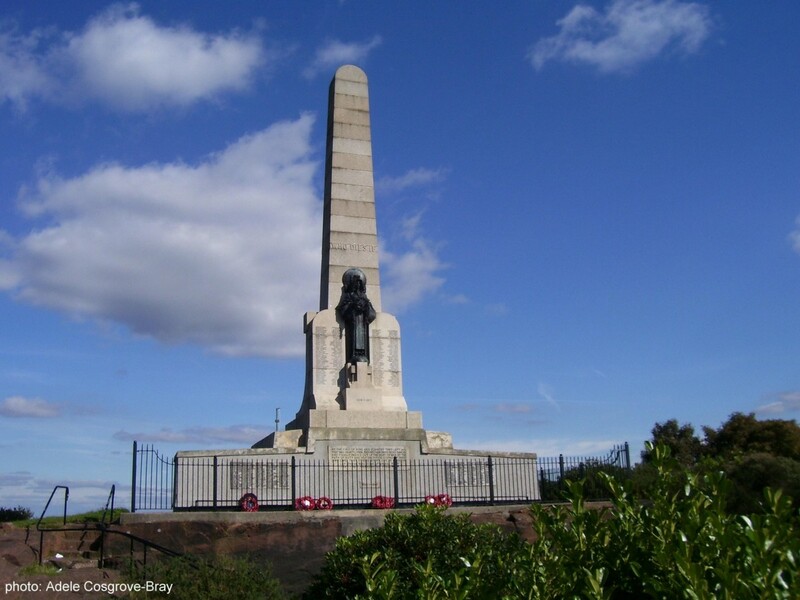 Many of Wirral's place-names come from this period of history. The invading Romans brought their usual imposition of law and order - or more accurately, their version of it. The Celts and Vikings had, in fact, a complex and rather sophisticated legal system of their own but the Romans wanted everything their own way. To ensure this was achieved, they massacred a huge majority of the lawyers - more usually known as Druids - at Anglesey, which isn't too far away (by sail round the coast.) That these Druids also controlled the export of gold might be entirely co-incidental. The Romans eventually decided they didn't like our weather and, besides, they were needed back in Italy where their own neighbours had turned on them. Wirral life became peaceful once more. And then the Normans' arrived and really upset the applecart. 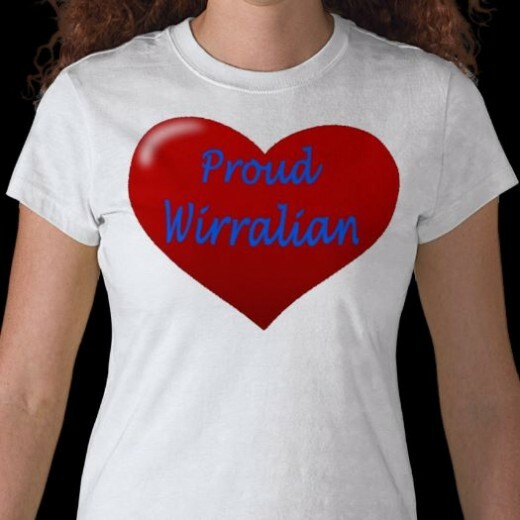 Wirral would no longer be Welsh, they decided, but a part of the Chester diocese. And the locals found the ground beneath their feet (and all the hunting and grazing it might provide) was now the property of the new sheriff thanks to the brutally enforced enclosure laws. There were pirates here, too. Hilbre Island and the Dee Estuary was notorious for piracy in the 17th Century. And then, a while later, the Georgians arrived and gentrified the place, building lovely sandstone houses and tall sandstone walls. In 1974, on April Fool's Day, somebody decided Wirral was no longer in Cheshire but was a part of Merseyside. The resulting dispute continues to this day. And we all lived happily ever after - more or less. The promenade and beach are just over the wall. 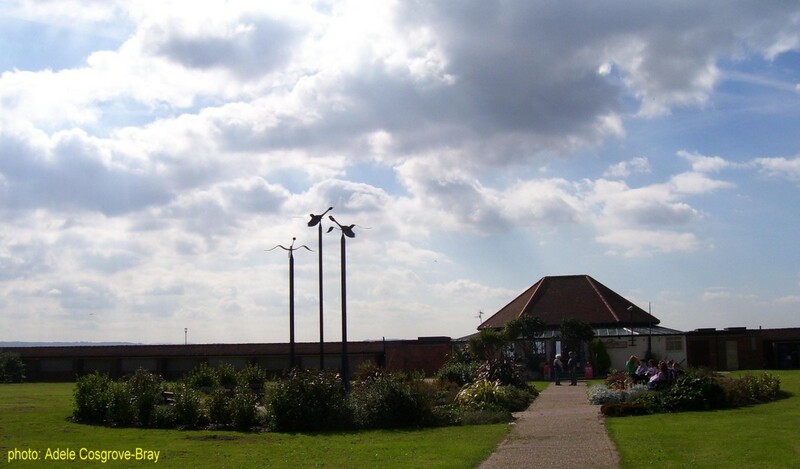 Benches in the circular garden, and the wobbly geese on poles were installed by the Friends of Coronation Gardens. The Irish Sea is famous for its winds. The spring and autumn storms which rage over Wirral are an experience in themselves. One such storm threw our six-foot tall wooden drive gates clear across the garden. 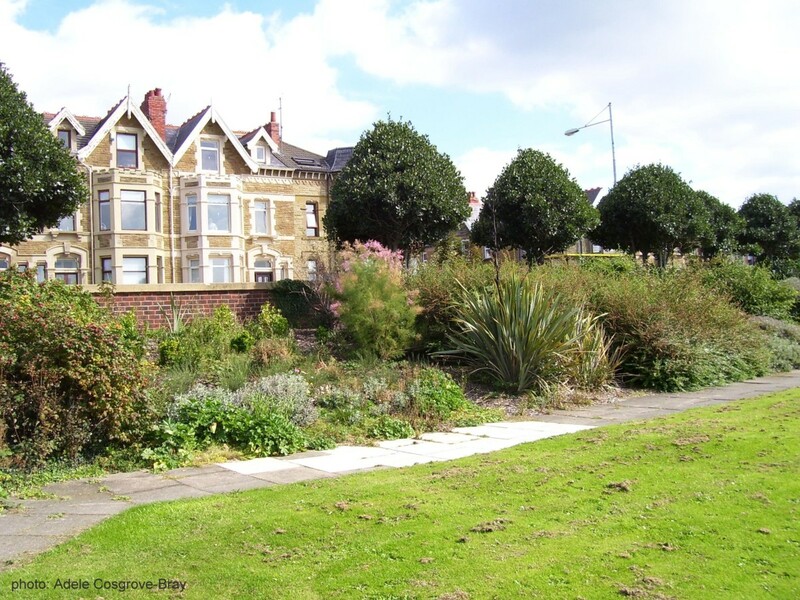 So if a stroll along West Kirby beach or promenade proves a little too invigorating, slip through a narrow gap in the wall beside the prom cafe, and walk into Coronation Gardens. Shrubbery edging Banks Road where you'll find many shops, cafes, restaurants and private residences. West Kirby is famous for its elegant Georgian architecture. 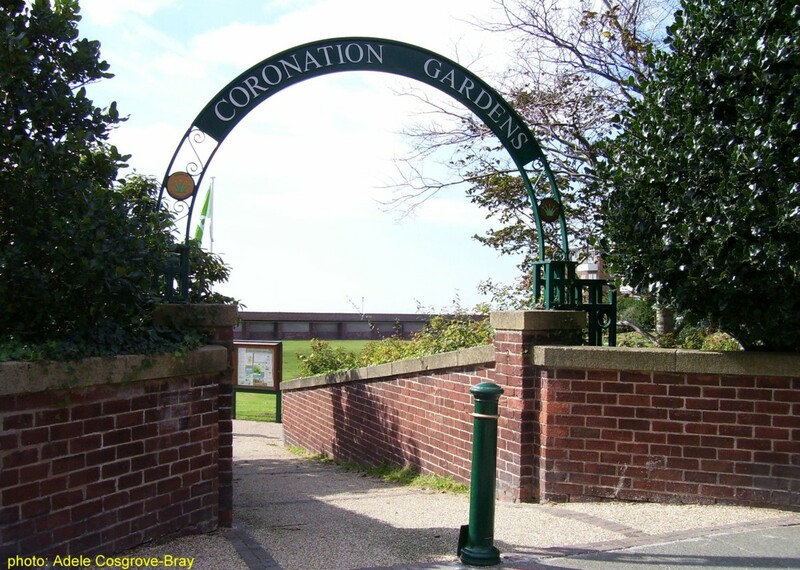 The main entrance of Coronation Gardens opens onto Banks Road, which is lined with cafes, restaurants and shops. Turn left into Church Road, then into Ashton Park. On the far bank you can see members of the model boating club preparing to launch their mini ships. The ducks and geese don't seem to be concerned. 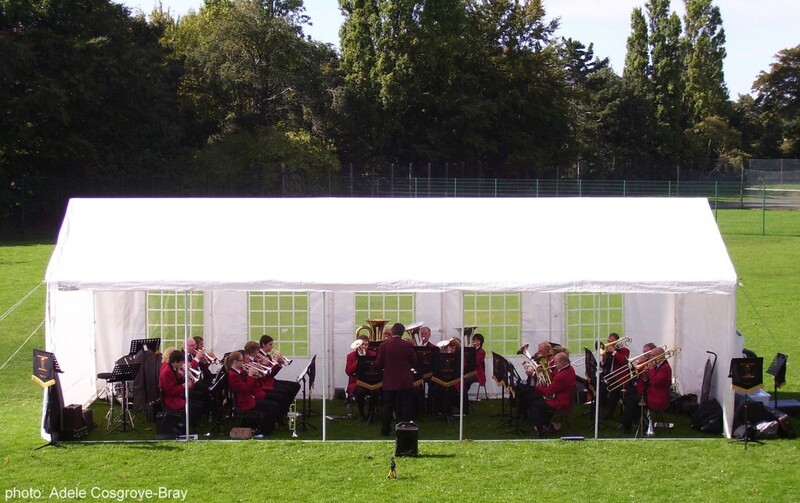 On the sunny grass tennis courts near the rose gardens, people sit to enjoy the free brass band concert organised by the Friends of Ashton Park. 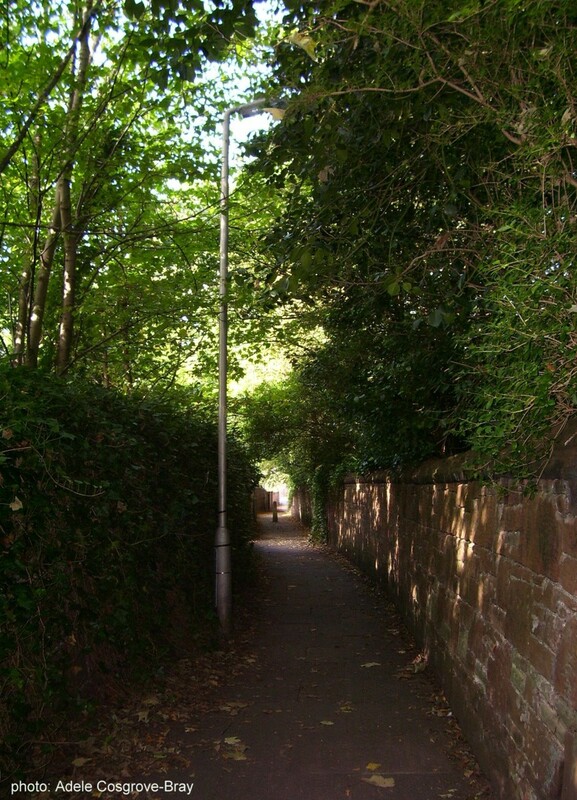 A quiet lane leading from Ashton Park to Grange Road. Either turn left to arrive back at the train station, or cross the road to Darmond's Green. All around West Kirby are robust sandstone walls. These were built under the supervision of William de Grouchy, and in recognition of his work he was given a little cottage on De Grouchy Street, off Darmond's Green. 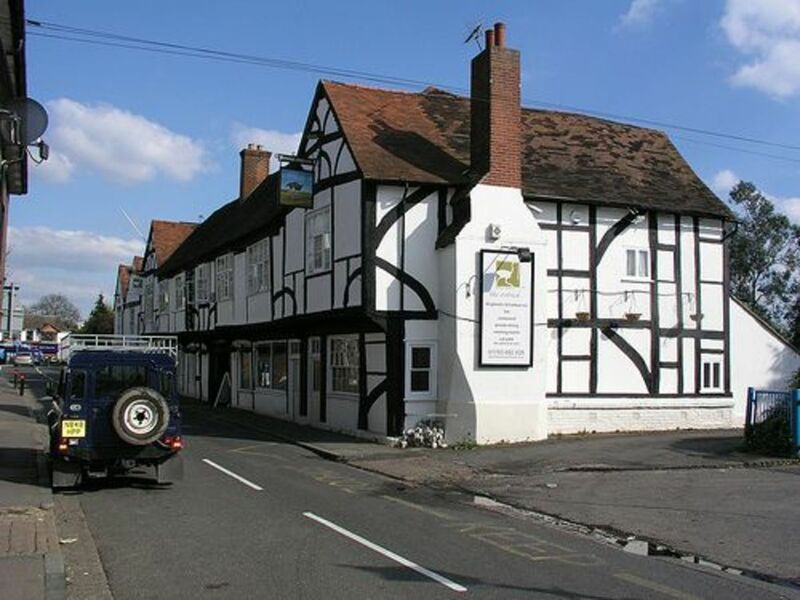 De Grouchy Street is the only "street" in the village, and the cottage was built from the same red sandstone used for the village's miles of walls. Darmond's Green boasts lovely architecture in its private houses, much of it dating from Georgian times. 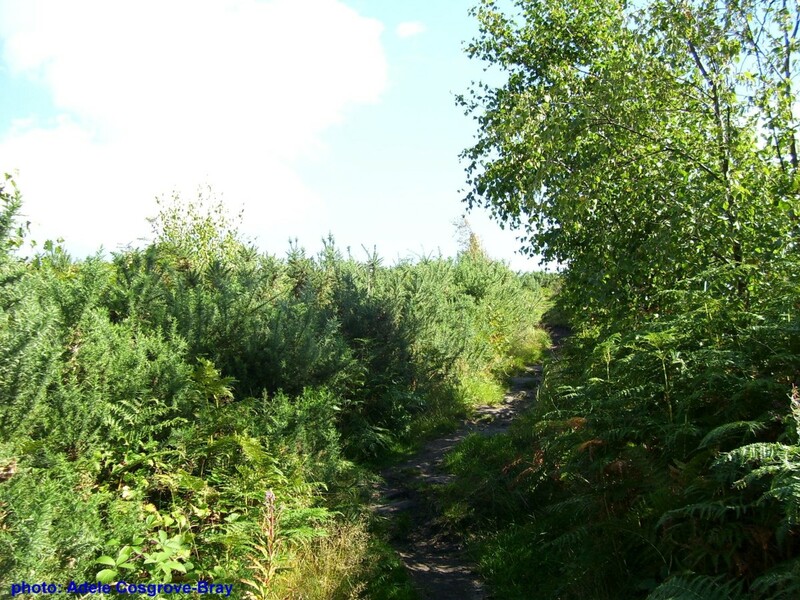 Walk up Leigh Road and follow the trodden-flat route through tall bracken to the summit of Grange Hill. Be warned - wear stout shoes or risk injury. The path is steep, stony and very uneven. 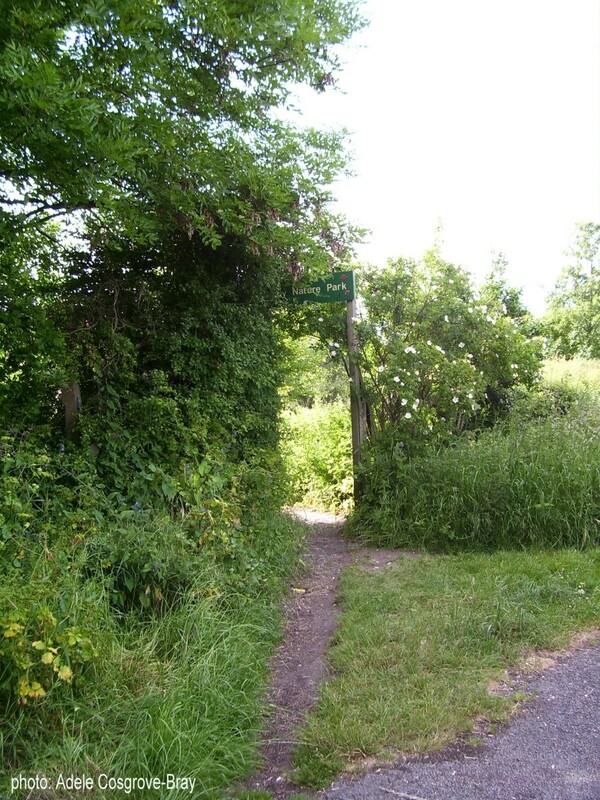 A much easier route can be found on Black Horse Hill, up a concrete slope and along a rough grassy track. The view from the top of Grange Hill, however, is stunning! The climb uphill can be steep - but wait till you see the view! Looking from the top of Grange Hill over West Kirby village to the beach. Middle Eye and Hilbre Islands are on the horizon. 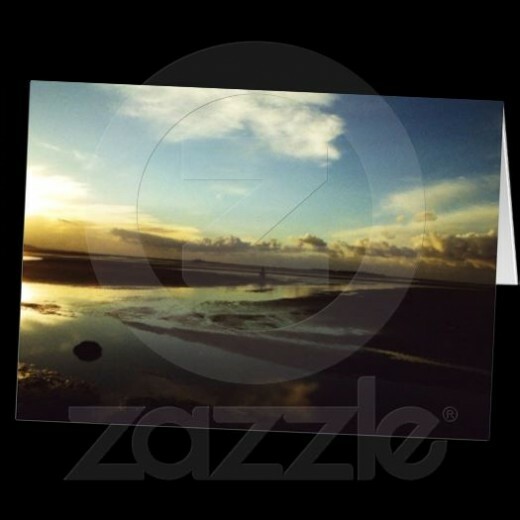 The view from Grange Hill to Hoylake. Look closely and you can even see the local football team at play. From the top of Grange Hill, the tip of the peninsula is laid out like a patchwork quilt of farmland and houses, businesses, churches and golf courses. 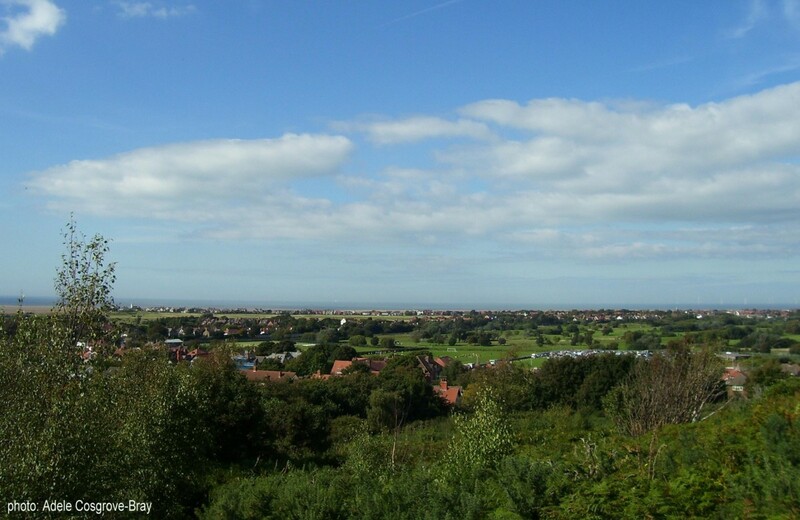 You can see Leasowe Lighthouse and Bidston Hill Observatory and the dockland cranes of Birkenhead, and over to the changing skyline of busy Liverpool. 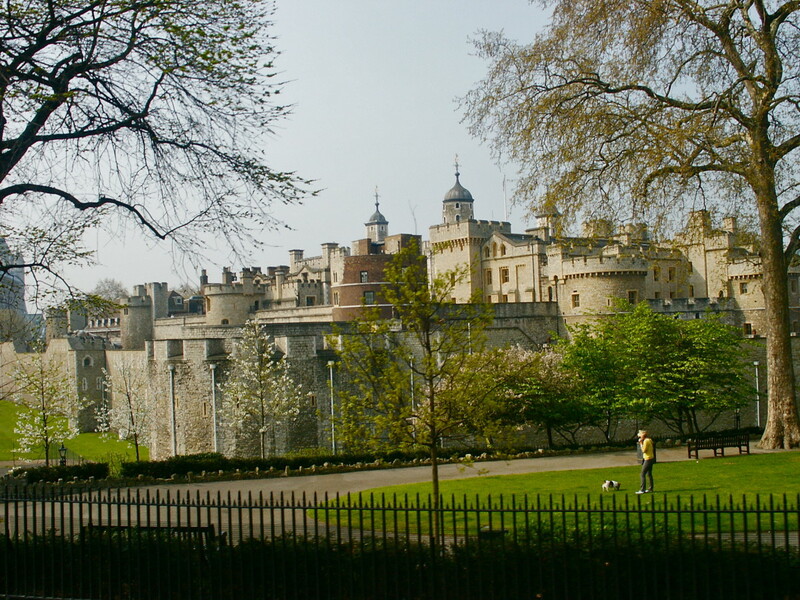 The towers of the two cathedrals act as obvious landmarks. Or you can look out to sea and watch ferries and tankers sail in or out of the mouth of the River Mersey and, if you change direction and have good eyesight, you might be able to find the dark, indistinct shapes of seals basking on West Hoyle Sandbank beyond Hilbre Island. And you'll tell yourself to bring binoculars next time. The exit comes out on Black Horse Hill, which leads right back to Grange Road and the train station and beach. The war memorial can be seen on the photo's horizon. Many more Wirral and Liverpool greetings cards from Spooky Cute Designs. Huge range of gifts at Spooky Cute Designs. Discover the unique charm of Spooky Cute Designs! You will not find these exclusive designs anywhere else! 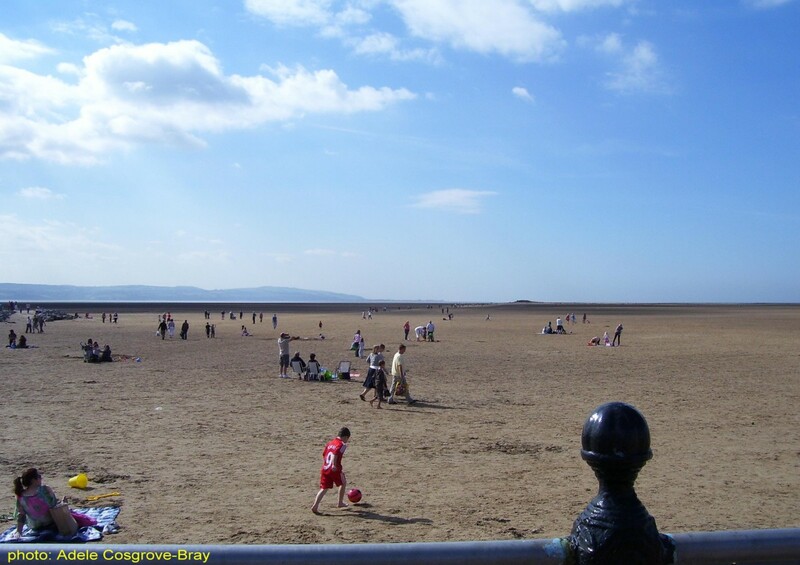 Features "Seagull Inn", a ghost story set on Hilbre Island, by Adele Cosgrove-Bray. 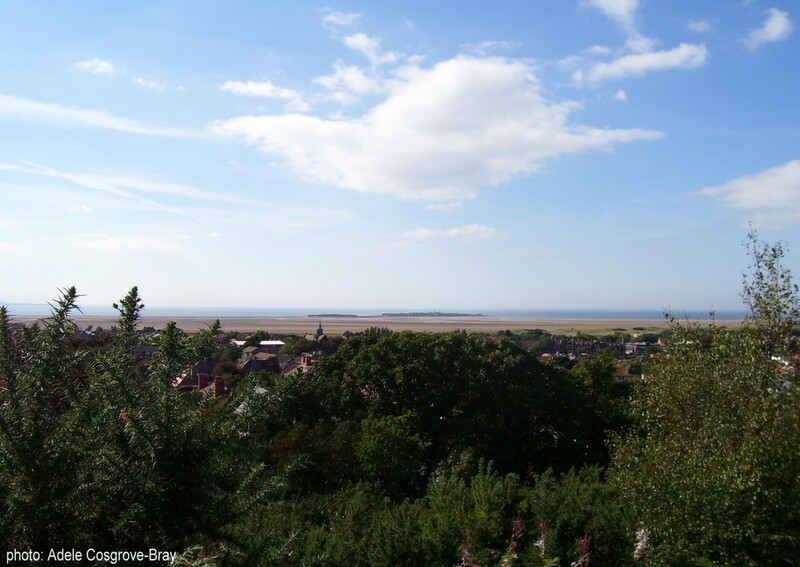 Hilbre sits in the mouth of the Dee Estuary off the Wirral coast. Almost hidden amongst tall grass are the steps leading up to the walk over the summit of West Kirby's sand dunes. 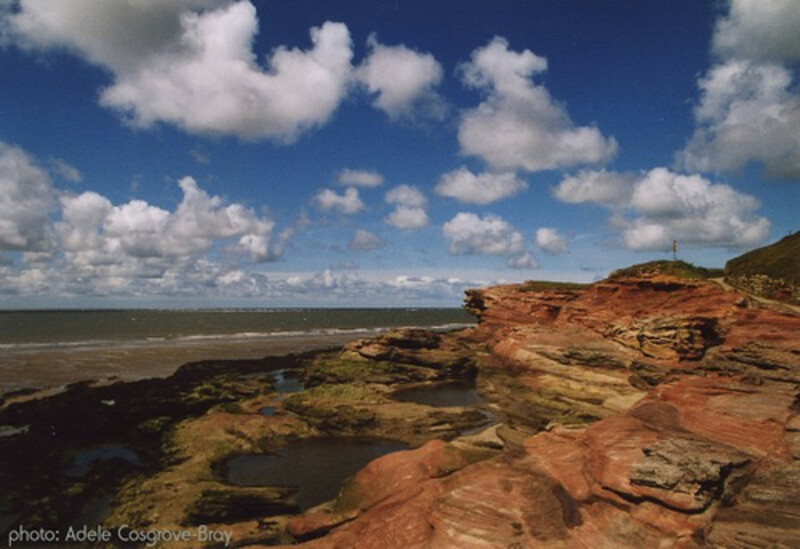 Hilbre Island sits in the mouth of the Dee Estuary, facing the Irish Sea. 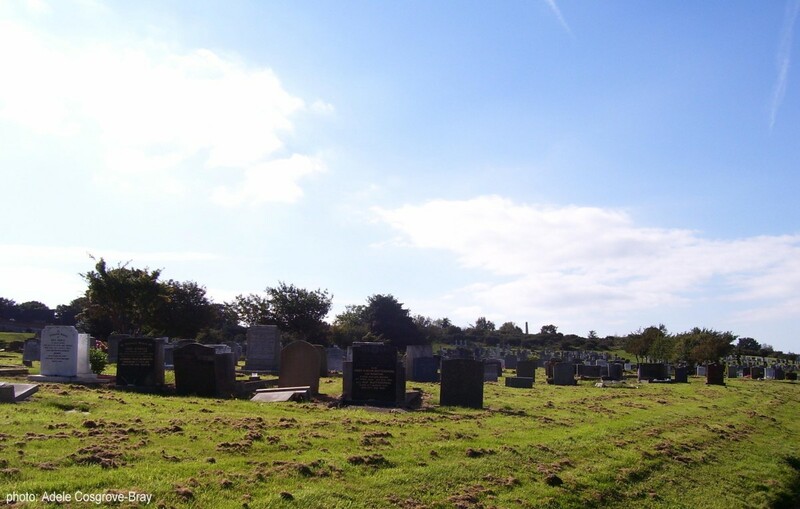 Cut off from the mainland twice each day, it is one of Wirral's true beauty spots. 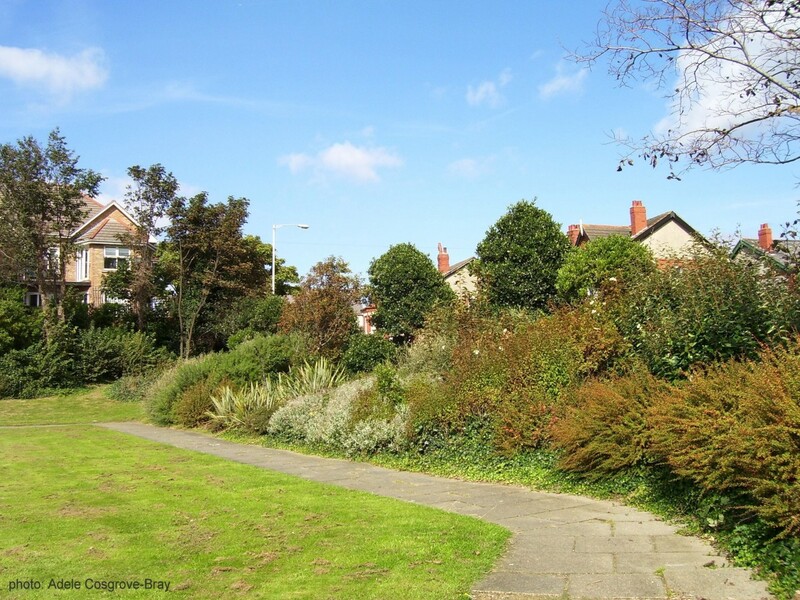 Tucked away between Grange Road/Meols Drive and Dee Lane in West Kirby is a small but picturesque oasis of trees, shrubs and formal gardens. 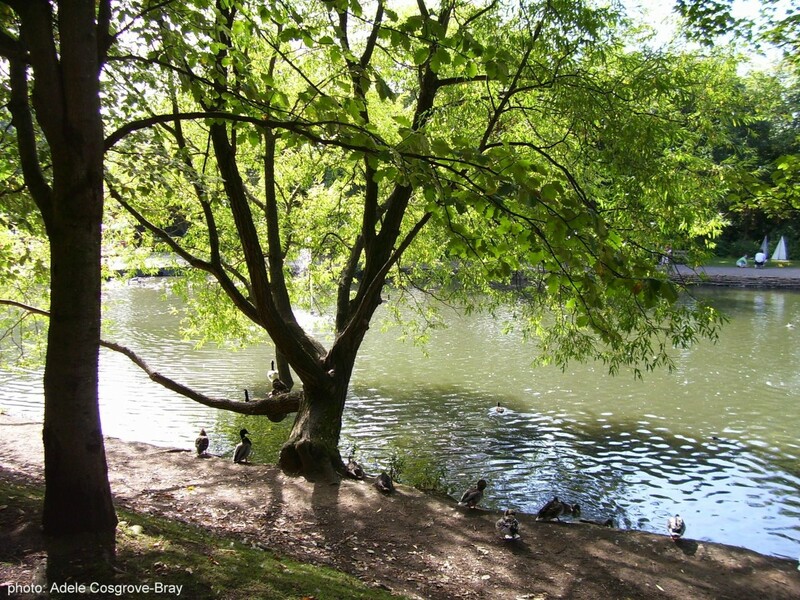 Wirral Walks - Ashton Park, West Kirby, England. Thank you, Lucia and Michael; I'm glad you enjoyed this page. Fascinating! Thanks for this super well-written trip down memory lane. I know the Wirral well (or should I say I did, having lived in France for a long time) because my family lives in Liverpool.